All four options are specially optimized to make your WordPress websites secure, easy to use, and extremely fast. Recommended: Click here to open BlueHost.com in a new tab and compare plans. All four options vary in the technical features that they offer to users as well as the amount of websites that are able to be managed within the plan. The technical features offered by Bluehost for their WordPress hosting packages are quite advanced when compared to the rest of the industry. That is, however, reflected in the pricing. The WP Standard option includes 30GB of storage, 30GB of backup, and 2GB of RAM. For Professional plan users, you receive 60GB of storage and backup to go along with 4GB of RAM. The Business plan comes with 120GB of storage and backup as well as 6GB of RAM. Finally, the Enterprise package features 240GB of storage and backup to go with 8GB of RAM. How Many Websites Can Be Managed With Each Plan? With the fact that all of these WordPress hosting plans are designed to cater to websites with hundreds of millions of combined views, Bluehost does allow you to manage more websites than most other web hosts. The WP Standard plan allows you to manage 5 WordPress sites, the Professional option allows for 10, the Business package allows for 20, and the Enterprise plan gives you the opportunity to manage up to 30 websites. To provide more information on the amount of visits per month that each plan is designed for, the WP Standard plan is designed for 100 million/month, the Professional plan for 300 million/month, the Business plan for 600 million/month, and the Enterprise plan is designed for an unlimited number of combined monthly visitors. Are Free Website Transfers Included With Each Plan? No. Bluehost is one of the few web hosts that does not offer free website transfers for any of their hosting plans. They do, however, give you the opportunity to purchase five website transfers for a total of $149.99. 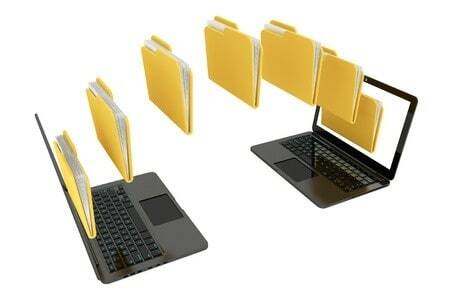 This package also includes the transfer of up to 20 email accounts. How Many IP Addresses Are Included With Each Account? One. All four WordPress hosting plans include only one dedicated IP address. If you go with the WP Standard or WP Enhanced plans and want to start any type of e-commerce store through your websites, you will need to purchase a SSL certificate separately. For members that choose the Business option, you will receive a positive SSL certificate with your plan. Enterprise package users receive a positive wildcard SSL. What Additional Security Features Are Included With Each Plan? Security is obviously a major concern for users, especially those that have high traffic websites where they are capturing tons of visitor data or financial information. For security purposes, each plan includes a minimum of SiteLock Pro. Users that go with the Business plan will receive SiteLock Premium while Enterprise users will have the advantage of working with SiteLock Enterprise. If you are unfamiliar with SiteLock, it is a third-party service that is among the world-wide leaders in website security. Is Premium Customer Support Included? Yes. 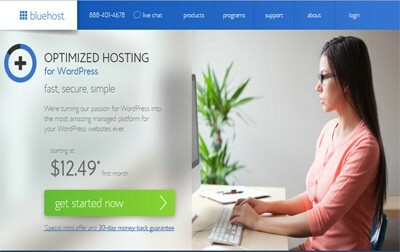 Bluehost does provide premium expert support to their WordPress hosting users. This support includes 24/7 access to a team of dedicated WordPress experts. The support staff also has the ability to quickly contact data center engineers to ensure that any troubleshooting issues can take place immediately. In addition, they have a help center area where you can quickly get answers to some of the more common questions that users have. There is also a community forum where you can get more detailed information about specific issue from fellow website owners as well as find out about which plan might best fit your needs. Bluehost uses an enhanced version of the ultra-popular cPanel as their control panel. While cPanel is already known for being one of the easier to use control panel in the industry, Bluehost has made some changes to its interface that have better aligned it to offer even more simplicity. This enhanced cPanel has several custom-built tools included and allows you to easily navigate between your websites, email accounts, and tools. Does Bluehost Perform Automated Backups? Yes. Bluehost provides automated backups for all of their WordPress hosting plans. While you do have a fixed number of backup storage available, they make it easy for you to determine whether or an upgrade is necessary to ensure all of your data is safe. Bluehost Guarantees ‘Extreme Speed’. How Do They Do This? Bluehost has long been known for the speed and reliability of their servers. The main reason for this is due to the fact that all of their servers are built in-house by experienced engineers. They are also continually developing new technologies that increase performance levels in cost-efficient ways. To be specific about how they guarantee extreme speed, each plan includes virtual private server power, an advanced NGINX architecture, and a custom PHP-FPM configuration. Combining these three things with their highly skilled engineers is a formula for consistent high level performance. Is it Easy to Upgrade Plans or Add More Storage and RAM? Yes. One of Bluehost’s stated goals is to make it as easy as possible for users to upgrade their plans to ensure that the growth process is a smooth one. Obviously it is a win-win situation for Bluehost and the user if a website begins to have too much traffic for the current settings to handle. For this reason, they provide a one-click solution for adding more CPU, RAM, or storage. How Quickly Are Servers Up and Running? Bluehost utilizes OpenStack to ensure that servers for any of their plans can be up and running in seconds. Incredibly, they also have the ability to do this with their dedicated server plans. For reference, this is a process that takes most other web hosts several hours or even days to setup. At the end of the day, Bluehost is among the top web hosts in the industry for WordPress hosting. While it can be said that they cater more to extremely high traffic websites, their prices are fair enough that they are a perfect option for users that are looking to grow their websites quickly. If you are looking for an option that allows scalability, reliability, and simplicity, Bluehost’s WordPress Hosting plans certainly fit the bill. Be sure to get in contact with their dedicated support team for more information about which plan will work best for your needs. Fast servers built in-house and specially optimized to run WordPress sites. Automated backups are provided for all their WordPress hosting plans. 24/7 Customer Support by WordPress experts instead of generic support staff.